HEY ALL!!! How are all of you fabulous ladies? Seems as though I let the blog die as soon as the realities of wedding planning became a reality. I've been married now for exactly 1 year, 3 months, 15 days, 9 hours, and 46 minutes!! I am super excited to come back to the blogging world and see how every has been doing. I plan to blog here at least 2-3 times a week and I will start by recapping my wedding. 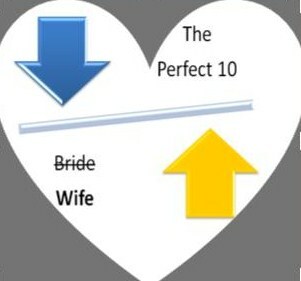 Thanks for being apart of my Perfect 10 world and I am honored you are along for the ride! !